One of the biggest challenges facing entrepreneurial parents, especially homeschooling moms, is time management — balancing home, school, work, and life, and doing reasonable justice to each. It’s probably always been hard, but the challenge seems to have increased with the speed of modern life and the ability to be over-connected all the time. During the parenting years, effective time management begins with a clear focus on long-term priorities and an acknowledgement that life’s seasons are short. Just keeping that in mind can help you focus on the most important things. Creating a life focused on things that matter often means steadily downshifting to stay focused on eternal values. It’s not easy to do, especially with a web-centered microbusiness. The loudest voices on the internet insist that it’s necessary to be online and constantly engaged in order to be successful. Some days it seems that only a hair’s breadth separates providing reasonable service to others from losing your real life to screen time, especially social media. So it is it possible to live with a focus on things that matter while running an online business? It is, and it’s worth it. Here, with an inescapable touch of irony, writer and speaker Gary Turk uses YouTube to share a story of choosing to live life fully (or not). It is worth watching. Being successful in business starts with being successful in things that matter most. Here then, with apologies to I Corinthians 13, are a few thoughts on keeping priorities in view. Though I write with the eloquence of angels, but leave no time for my family, I become as discordant as sounding brass, or shallow as a tinkling cymbal. And though I have 100,000 followers on social media, and can offer good counsel on all mysteries, and all knowledge; and though I have all faith, so that I could remove mountains, yet ignore those closest to me, my knowledge amounts to nothing. And though I bestow all my goods to feed the poor, and though I sacrifice all my time to answer customer queries, yet fail to love my neighbor or be present for my family, my good works profit me nothing. I don’t get this right all the time, and I’ve never met an entrepreneurial parent who felt they did. Staying focused on priorities is an ongoing challenge, but keeping that desire in mind is the place to begin. I have learned that values-focused time management, in which I schedule my highest priorities on the same calendar as my business tasks is one of the best ways to stay on track. Some of the most effective time management tips are the simplest. Celebrate Sunday as the sabbath, for worship, reflection, reading, home, and family. When I remember to do these things, life is sweet. Work gets done; home and family are cared for; there is time for reading and prayer; as well as time for fun. When life gets lopsided and either work or life is out of balance, it can feel as if something of value is missing. Some season of life are busier than others, but with a clear awareness of values and priorities, you can make necessary adjustments. Develop passive income streams so that you don’t have to be present in order to be earning. 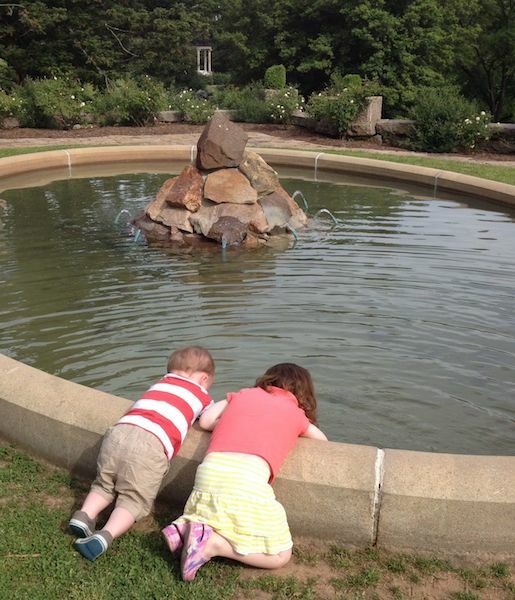 Sometimes you just need to dabble in the fountain. Above all, try to stay focused on the things that matter most. There will be other seasons of life in which you can do other things — you don’t have to do them all now. May you have joy in the journey! And though I bestow all my goods to feed the poor, and though I give my body to be burned, and have not love, it profits me nothing. I’m so glad you’re enjoying it. I’ve enjoyed your blog, too!